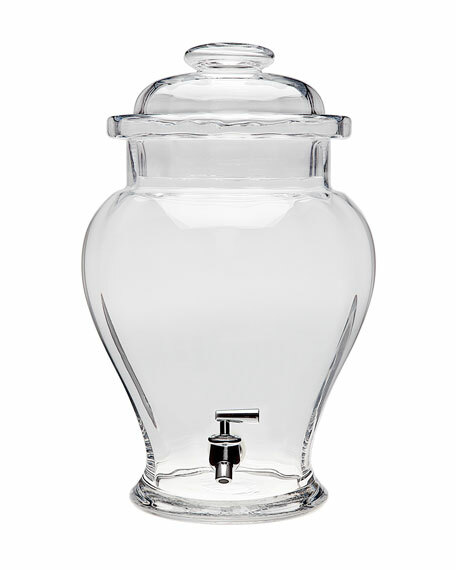 Beverage dispenser made of lead-free crystal. Approximately 13.5"Dia. x 17"T; hold 2 gallons.